Toddler's wrap robes have extended shoulders, hood, fold-up cuffs, patch pockets, belt loops and self-fabric tie belt. View A is lined with contrast fabric. 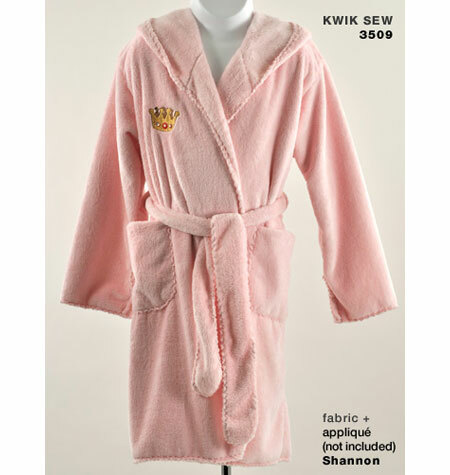 View B is a single layer robe with all outside edges finished with a serger (overlock) machine or decorative edge stitching. Wrong side of the fabric will show on hood, belt, cuffs and upper part of pockets. Sizes 1T-4T included in this pattern.